The Dayco Poly Rib Gold Label Belt is designed for power transmission on heavy duty multiple-accessory drives. This Poly Rib belt is the latest version of the revolutionary multi-ribbed belt first developed by Dayco for the 1979 Ford Mustang. 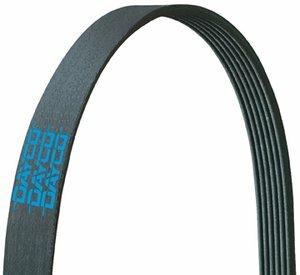 The DaycoPoly Rib Gold Label belt meets or exceeds SAE J1459 and SAE J2432 specifications. This Poly Rib Gold Label belt is another Dayco product proudly made in the USA.